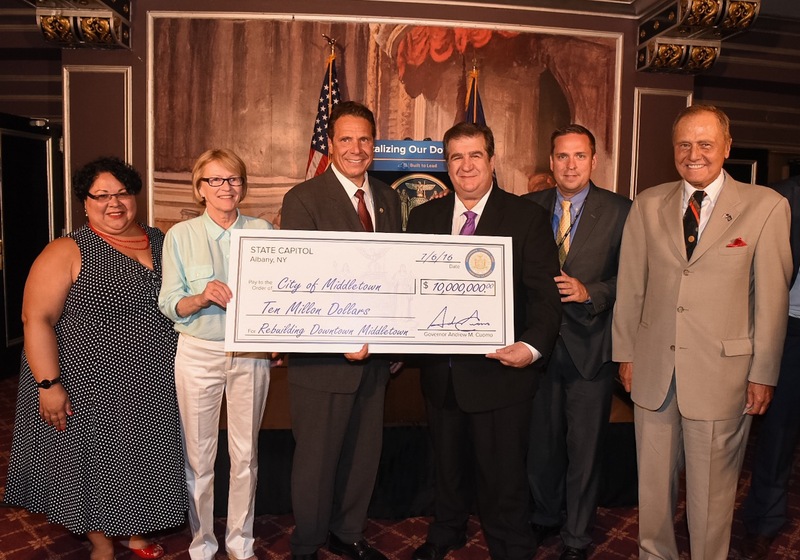 Orange County, NY - Governor Andrew M. Cuomo today announced that Downtown Middletown was selected as the winner of the $10 million Downtown Revitalization Initiative in the Mid-Hudson region. The Downtown Revitalization Initiative, first laid out in the Governor’s 2016 State of the State address, marks a comprehensive plan to transform local neighborhoods into vibrant communities where the next generation of New Yorkers will want to live and work. The winner was selected as part of a competitive process by the Mid-Hudson’s Regional Economic Development Council and will receive $10 million in state funding to revitalize the local neighborhood and generate new opportunities for long-term growth and prosperity. The award will include up to $300,000 in planning funds for private sector experts to work with a local planning committee to draft a Strategic Investment Plan that will identify specific economic development, transportation, and housing and community projects. The grant is part of a $100 million effort to improve the urban vitality of city centers across the state. Plans will be completed by early 2017.